Paulist Fr. Bruce Nieli is an evangelist and missionary based at St. Austin Church in Austin, TX. As part of the Extraordinary Jubilee Year of Mercy, he was named a Missionary of Mercy of Pope Francis. A native of Long Island, NY, Fr. Bruce was ordained in 1973. 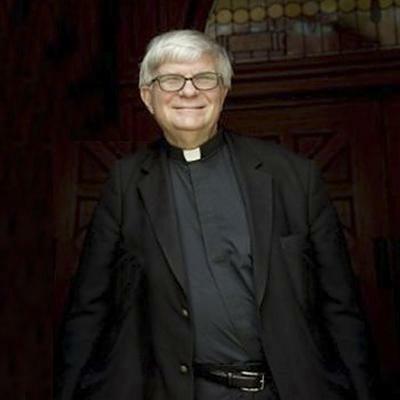 He is past director of evangelization of the United States Conference of Catholic Bishops. Fr. Bruce leads parish missions and retreats, and speaks at a variety of diocesan and regional conferences. He is fully bilingual and does presentations in both English and Spanish. “Responding to the Spirit in the Soul, in the Church and in the World” is one of his topics, as is the spirituality of St. Paul the Apostle. “The guts of the new evangelization is ‘Kerygma,’ the proclamation of salvation, of Jesus Christ as Lord and Savior," Fr. Bruce said in 2014 during an all-day presentation for priests and other parish leaders in the Diocese of Camden. “Evangelization helps people fall in love with God. In how we speak of Jesus, we can draw people to a love relationship with him," he added. "We need people enthusiastic about being Catholic and willing to bring people to Christ."